Get expert advice for your Self Managed Superannuation Fund (SMSF) audit. We offer expert SMSF audit services with peace of mind of true independence. What that means is that we can be your silent partner in the SMSF accounting process rather than a competitor. 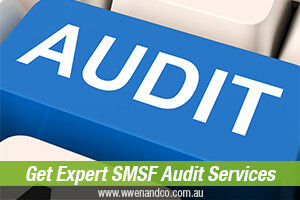 Our SMSF auditors are qualified and experienced to manage your SMSF audit. You can achieve greater efficiency and profitability in your SMSF accounting function through the engagement of W Wen & Co for a fast, efficient, and high quality SMSF audit service. We embrace and maintain the professional standards, competency requirements and quality control expected of members of the Institute of Chartered Accountants in Australia and New Zealand. We are committed to providing you with a timely and efficient service. Call our Epping office now on (02) 9871 3429 to discuss your SMSF audit needs.